Meet at the tour hotel in Tottori City. 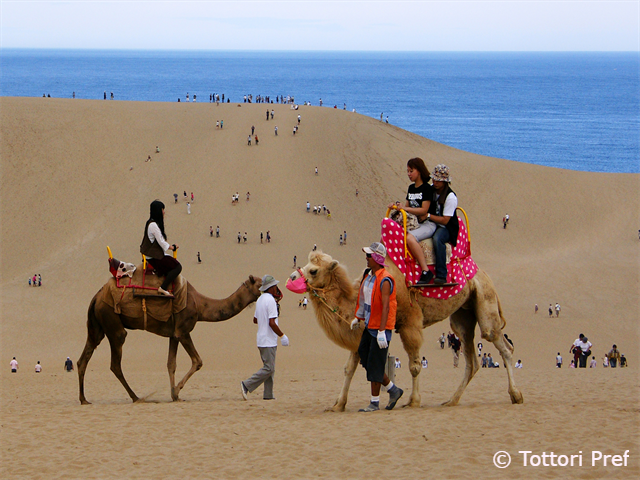 If you arrive by lunchtime, we can go together to the Sand Dunes and Sand Museum. Tonight we will have a group meeting and an optional welcome dinner at a local restaurant. 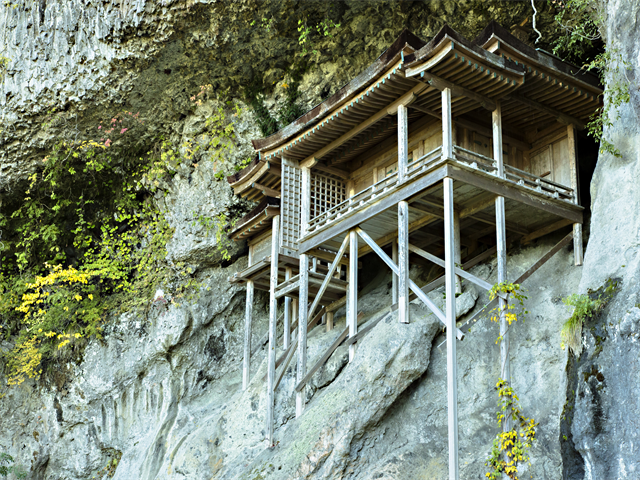 From our hotel in Tottori City, we head 25 minutes out of the city by private vehicle to Hamamura Onsen. From the train station, we start our San-in cycling adventure and head east along the Sea of Japan coast, before circling Lake Togo and passing through Hawai Onsen and Togo Onsen. We then head inland and up to the temples of Mount Mitoku in Misasa Town, before free-wheeling down to Misasa Onsen where we will spend the night. In the evening we can relax in the healing waters of the various hot springs in the town. First, we follow the Mitoku and Tengawa rivers back to the Sea of Japan and then continue our journey east along the coast to Yonago. We will cycle through fishing villages, pear farms and rice fields in the shadow of the spectacular Mount Daisen. 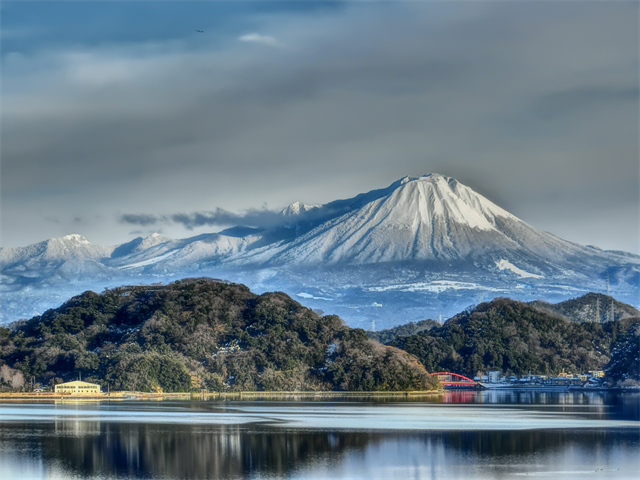 This dormant volcano is often compared to Fuji due to its shape and was once known as the “Mountain of the Great God”. Starting from our hotel, we travel by vehicle to Daisen White Ski Resort, near the mountain summit. From here we mount our bicycles and free wheel through through the forest, pastures and rice fields to Kaike Onsen, before joining a new coastal cycle path. 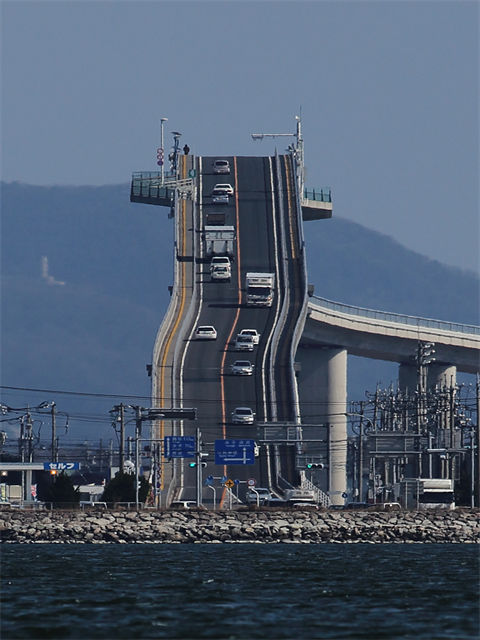 We then skirt around Sakaiminato City to the Eshima Bridge, which has recently received a lot of global attention and has been described as “the craziest looking bridge in the world”! 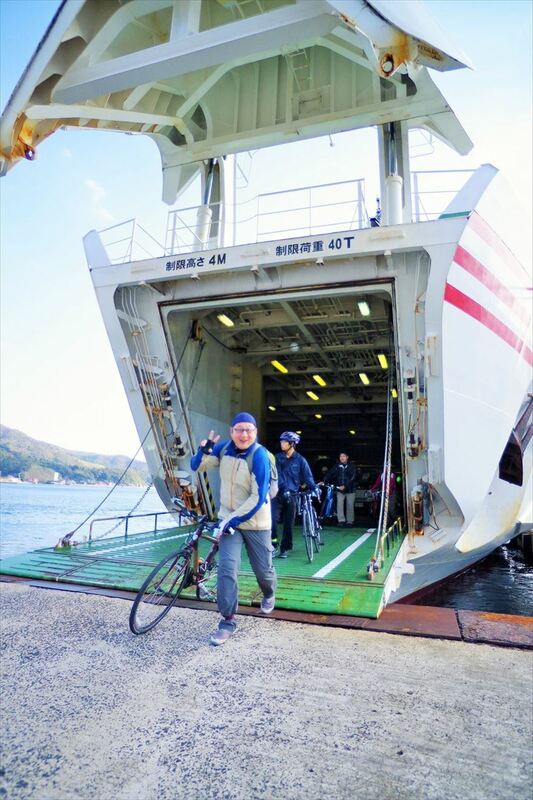 After enjoying the views from atop the bridge, we ride a short distance to Sakaminato Ferry Terminal. From here we will catch a ferry to Nishinoshima (Oki Islands, 2hr50) and then transfer by bus to our ryokan. A delicious seafood dinner is included at our ryokan tonight. Return to the port to pick up our bikes and then cycle across the island to the stunning Kuniga Coast. Taxis will take us to the top of the walking course and then we can walk back down to our bikes, past the cows and horses. After cycling back to the port, we will catch an inter-island ferry to Dogo Island (1hr55). From Saigo Port, we will cycle through the heart of the the island to our minshuku (family-run inn) where another delicious meal awaits. 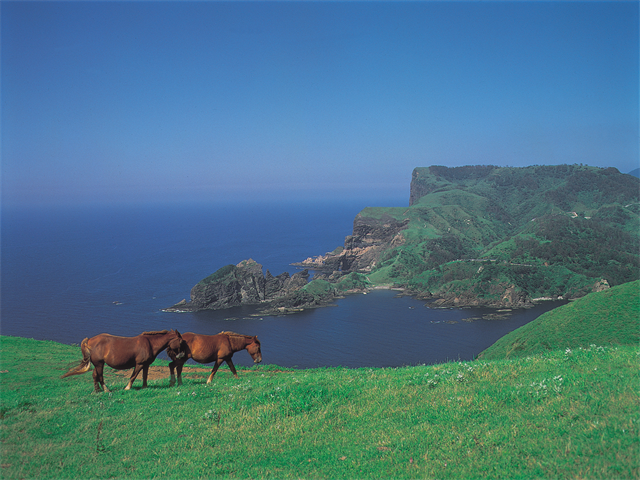 We will head to the Shirashima Lookout at the northern tip of the island for beautiful views, before cycling down the breathtaking east coast on quiet roads. This is truly one of the best cycling routes in Japan. After some lunch at Saigo Port, we will take a ferry back to the mainland (2hr25) and transfer by car to our traditional lodgings in the charming and historical fishing village of Mihonoseki. This morning we can witness the centuries-old morning rituals and dances at the nearby Miho Shrine, performed by the “shrine maidens”. 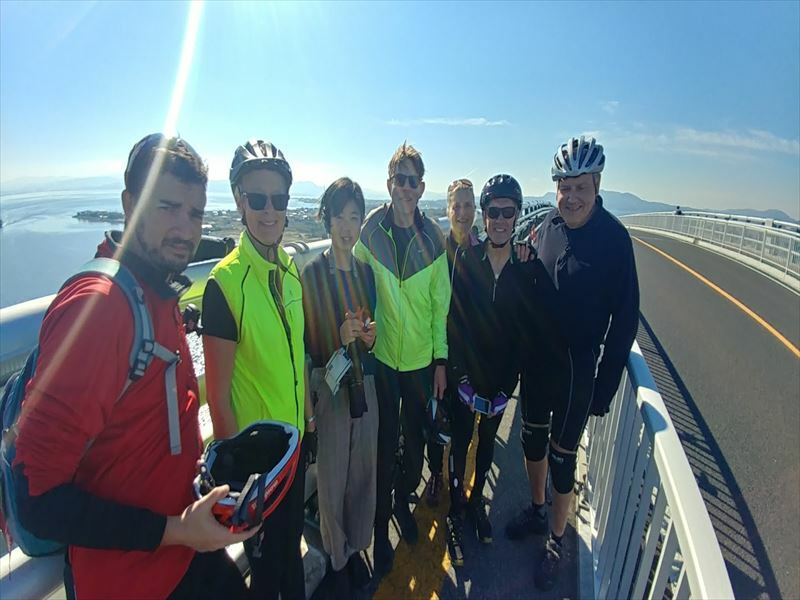 After visiting the Mihonoseki Lighthouse at the end of the Mihonseki Peninsula, our cycling journey continues along the beautiful, nature-rich coastline of the peninsula to Matsue. 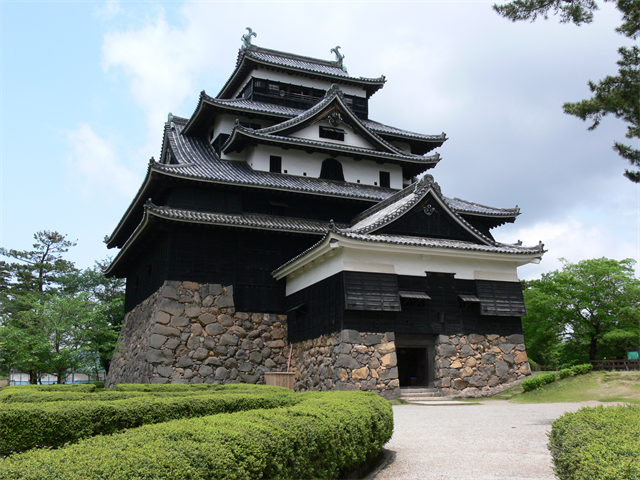 After checking-in to our hotel, we can head over to Matsue’s “Black Plover” Castle. Completed in 1611, the castle is one of only a dozen original castles still existing in Japan. This morning we will take a trip out to the Adachi Museum of Art in the lovely village of Hirose. 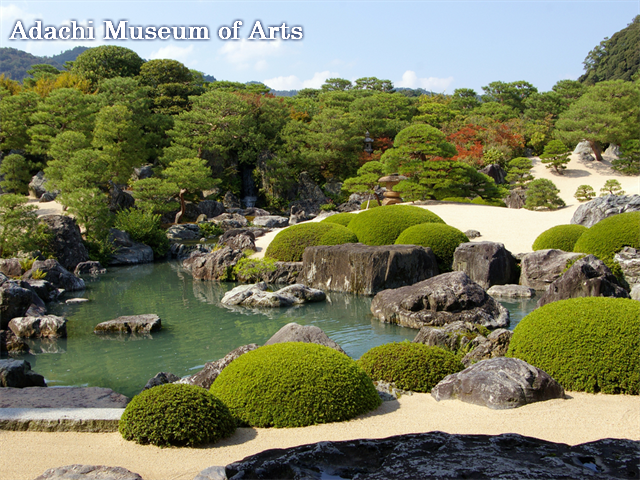 The Adachi Museum’s garden has been ranked at number one in Japan for 14 consecutive years. After a couple of hours of enjoying the art and gardens, we can pedal back into Matsue to enjoy more sightseeing in Japan’s “water city”. On our final day of this cycling adventure, we head east through the wide, undulating farm roads between Lake Shinji and the Sea of Japan. Our goal is the ancient city of Izumo, known to the Japanese people as the “Realm of Gods”. 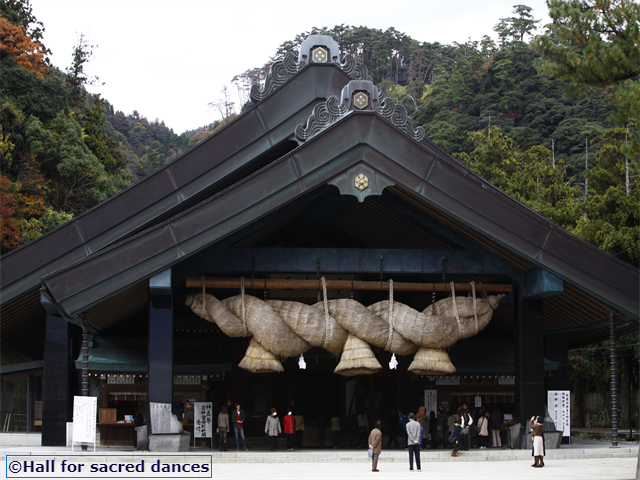 Here we will visit Izumo Taisha, one of the most important Shinto Shrines in Japan and certainly one of the most impressive. Finally, we will pedal to our hotel which is conveniently located near to Izumo Train Station. Here we can enjoy a final group meal together and a well earned beer or two (other drinks are available!). The tour finishes after breakfast today. Nearby Izumo Airport has daily flights to Tokyo-Haneda, Osaka-Itami and Fukuoka airports. Kyoto and Osaka can be reached by train in approximately 4 hours.